Here we will learn about how to find area and perimeter of a plane figures. The perimeter is used to measure the boundaries and the area is used to measure the regions enclosed. The length of the boundary of a closed figure is called the perimeter of the plane figure. 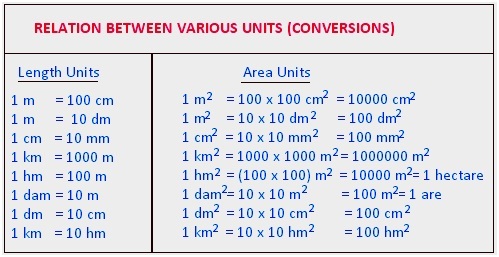 The units of perimeter are same as that of length, i.e., m, cm, mm, etc. A part of the plane enclosed by a simple closed figure is called a plane region and the measurement of plane region enclosed is called its area. Area is measured in square units. ● The perimeter of rectangle = 2(l + b). ● Perimeter of square = 4 × S.
● Area of square = S × S.
● Area of ring = Area of outer circle - Area of inner circle.